Anna is a native of Vicksburg, Mississippi. 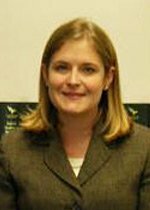 She has engaged in the full-time praactice of law since 2008 and is admitted to practice before the Supreme Court of Louisiana, the U. S. District Courts for the Eastern and Middle Districts of Louisiana and the U. S. Court of Appeal for the Fifth Circuit.. She practices in the areas of General and Commercial Litigation including class actions. Anna holds a Bachelor of Science Degree from Louisiana State University and a Juris Doctor Degree from Loyola University College of Law. In addition to her prior experience as an Associate Attorney at Aaron, PLC, Anna has served as a Staff Attorney at Frilot, LLC and as an Associate Attorney at The Godfrey Firm. PLC. Anna's litigation experience includes both trial and appellate advocacy before state and federal courts. Substantive areas have included, banking and finance, labor and employment, state and municipal law, municipal bonds, securities, professional liability, insurance, constitutional law and civil rights. In addition to her litigation experience, Anna has substantial experience in the fields of public finance, municipal bonds and corporate law.